A DNA test revealed Lincoln is equal parts golden retriever, boxer, German shepherd and chow chow, with a sliver of some kind of unidentified hound mixed in. Jimmy: It was September of 2012, and I was not well. Really, really not well. I was in the late stages of heart failure. The only thing sinking faster than my cardiac performance was my morale. That's when I decided I had to have a dog. It wasn't necessarily a rational desire — as my wife pointed out emphatically — but it was a passionate one. I told Alison one of two things was going to happen: Either we got a dog or I was going to buy a Jeep. Alison: Getting a dog wasn't practical. I had been explaining to Jimmy for years that I was a cat person and we already owned three spirited (i.e., badly behaved) cats. Besides, a dog would only create another layer of complication to what had become an almost-impossible balance of work in the 24/7 news business plus raising a young daughter and frequent visits to a hospital in Atlanta. The idea of house training a puppy on top of all that wasn't appealing. Then I did the math. A Jeep cost $35,000. People were giving away dogs. Jimmy: One night I played my ace card. "You're not going to let a dying man have a dog?" Alison started to cry. Bingo! Claims to detect more than 350 breeds. Cost: The $84.99 kit will tell you your dog’s breed(s). A $149.99 version will also flag genetic health conditions. The official DNA test of the Westminster Kennel Club Dog Show. In addition to breeds, Embark also tests for 170 health conditions. Tests for more than 100 genetic diseases and traits. It also will give you a plan to help meet your dog’s health needs. Cost: $68.99-$188.99. The basic package offers a percentage breakdown of the breeds in your dog’s DNA, plus related personality traits and general health concerns. (For $89.99, the report will also include whether your dog has any wolf or coyote DNA.) The most comprehensive option includes a genetic screening for more than 100 of the most common breed diseases, based on the breeds ID’d in your dog’s DNA. Alison: My daughter and I were at an arts festival. Among the handmade pottery and silver trinkets, the Humane Society of Northwest Georgia had set up shop. They had brought over a few dogs they hoped to adopt out. One of them, a puppy named Lincoln, had a scruffy brindle coat and curly fur on his ears that looked liked the hair of a 1980s sitcom star. He was 5 months old, and nobody had adopted him yet. He walked over and licked my hand. I knew immediately that he was "The One." Jimmy: I had won! I had a dog. Then a not-so-funny thing happened. Two days before we were supposed to bring Lincoln home, I went to the hospital for a checkup and didn't come out for three months. Lincoln moved onto my spot on the couch — and into the hearts of my wife and daughter. Alison: Lincoln quickly became a great companion for Rowan, our daughter. When she was with him, she stopped worrying about her dad so much. She smiled and laughed like she had before. Everywhere we went, people asked, "What breed is he?" or "He's so unusual looking. What is he?" At first, I'd explain that Lincoln was a mutt. Then I started answering tongue-in-cheek with fancy-sounding dog lingo. "Oh, he's a Hungarian elk hound" (not a real breed) or "He's a tufted Nepalese" (also not a real breed) or "He's a Silken Windhound" (a real breed). People always believed me, and seemed disappointed when I said, "Just kidding. He's good ol' American, melting-pot mutt." Jimmy: Finally I got to come home — with a new heart — and meet the fabulous canine I had been hearing so much about. His genetics weren't that important to me, but I was a little curious. And the more strangers inquired about him, that curiosity grew. Alison: I couldn't stand not knowing what breeds had mingled to create our unique dog. I ordered the Wisdom Panel, made up by the Petcare division of Mars. I swabbed the inside of Lincoln's cheek and mailed it off. A few weeks later, the answer to his genetic mystery was in my inbox. I waited until Jimmy, Rowan and I were all together and opened the email. Lincoln was pretty much equal parts golden retriever, boxer, German shepherd and chow chow, with a sliver of some kind of unidentified hound mixed in. Aha! Now it all made sense. Lincoln's feather-duster tail and the black spots on his tongue came from his chow relatives. His gentle personality and webbed paws were marks of golden retriever DNA. His thick undercoat was a product of German shepherd ancestry. And boxer-red blended perfectly into his brindle coat. Jimmy: Now when people ask me what kind of dog I have, I can give them a detailed and scientifically proven answer. Often I do just that. But I'd be lying if I didn't admit that on occasion I still boast about Lincoln's Hungarian elk hound pedigree. Many people opt for DNA tests on their dogs because they're just plain curious. They want to know if their pet is corgi or collie, affenpinscher or Australian terrier. And unless you have an American Kennel Club-certified pedigree, a DNA test is the only way to know for certain what breed your canine companion is. There also are practical reasons to know your dog's DNA. Most dog breeds have distinct personality traits, and some owners believe that knowing a dog's breed mix can help determine how best to train and interact with them. 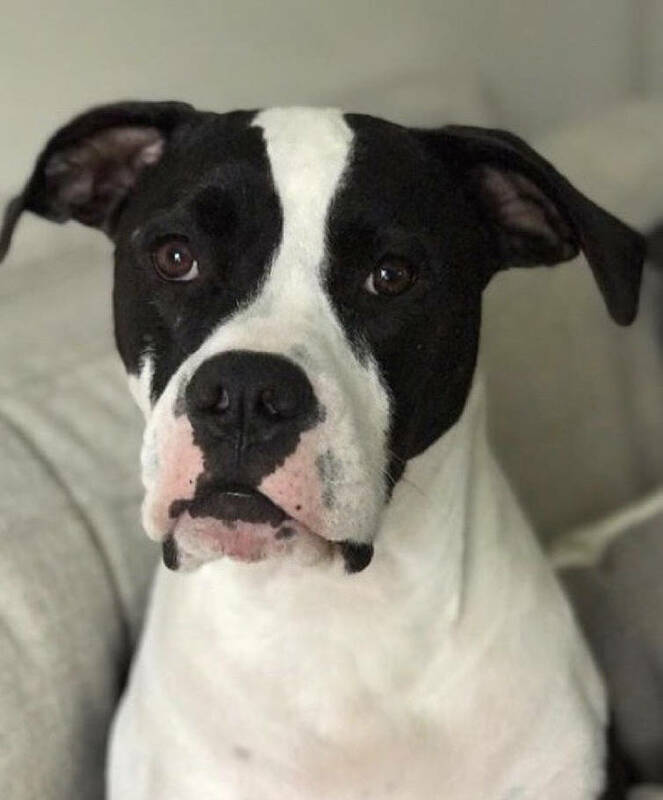 Kate Kronenberg of Red Bank found out from a DNA test she ordered online that her beloved dog Billie Jean is a mixture of boxer, American bulldog and Staffordshire terrier, in that order — not the simple American bulldog Kronenberg had thought. "I had her for years thinking she was an American bulldog, which is what was on her file at McKamey," she says. "Last year for my birthday, my parents got me a doggie DNA test because they love her so much and we all were always wondering. "Turns out all three of the breeds I got in the report are very prone to arthritis and hip dysplasia, so with the help of our awesome veterinarians at Riverview Animal Hospital, we have started preventive vitamins and a diet that is fiber-heavy," Kronenberg adds. Some DNA tests can help identify specific genetic mutations in addition to a dog's breed mix, but three canine genetics experts, writing last year in the journal Nature, warned that some companies are selling "misleading and often inaccurate information" to pet owners who want their dogs screened for diseases. "Genetic testing for pets is expanding. Hundreds of thousands of dogs have now been genetically screened," wrote the authors, Lisa Moses, Steve Niemi and Elinor Karlsson. "Most of these tests are based on small, underpowered studies. Neither their accuracy nor their ability to predict health outcomes has been validated." Chattanooga veterinarian Tai Federico of Riverview Animal Hospital says DNA testing for diseases is "in its infancy" and still needs more research before it is widely used. "It's not routinely done to make medical decisions based on DNA," he says. Even in the future, when scientists can more precisely pinpoint diseases a dog may be at risk of, there will always be environmental influences and a certain amount of chance, Federico notes. "Right now, people mainly use it for fun," he adds. Heather Miller of Red Bank ordered a DNA test because she wanted to know her rescue pet's breed. She adopted Izzy from McKamey Animal Center in 2014, thinking she was a mix of German shepherd and Siberian husky. "As time went on with Izzy, we noticed more facets of her personality: She was choosy with other dogs she played with. She herded. She did not like water. She wasn't vocal. She was loyal to a fault, and she had a low to moderate energy level," Miller says. And, at 55 pounds, Izzy was full grown, which would be small for a shepherd-husky mix. "Everywhere we would go, people would admire her," Miller says. "Breeds like Catahoula, cattle dog, Dutch shepherd or Aussie were suggested as her mix." So she decided on a DNA test. "We got to a point where we wanted to offer Izzy the best play, health care and lifestyle that we could, so we came to the agreement that we would get her DNA tested so we would know for sure what made up her genetics," Miller says. Izzy turned out to be an interesting mix of German shepherd, Alaskan malamute, American Eskimo dog, boxer and Siberian husky. 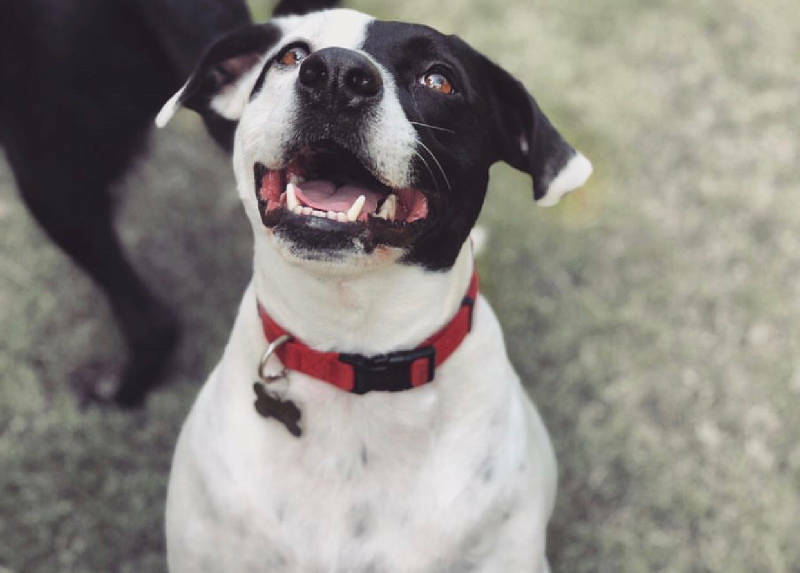 "We received the general overview we desired and, from that, have been able to learn more about what makes Izzy our Izzy," says Miller — though she still simply describes her fur baby as "the best good girl." THINK YOU CAN DISCERN A DOG'S BREED JUST BY LOOKING AT THEM? About the pup: Eskridge found Scrappy as a puppy — he weighed just 3 pounds — when she lived in Savannah, Georgia. "He had humongous ears and was the strangest little dog," she says. 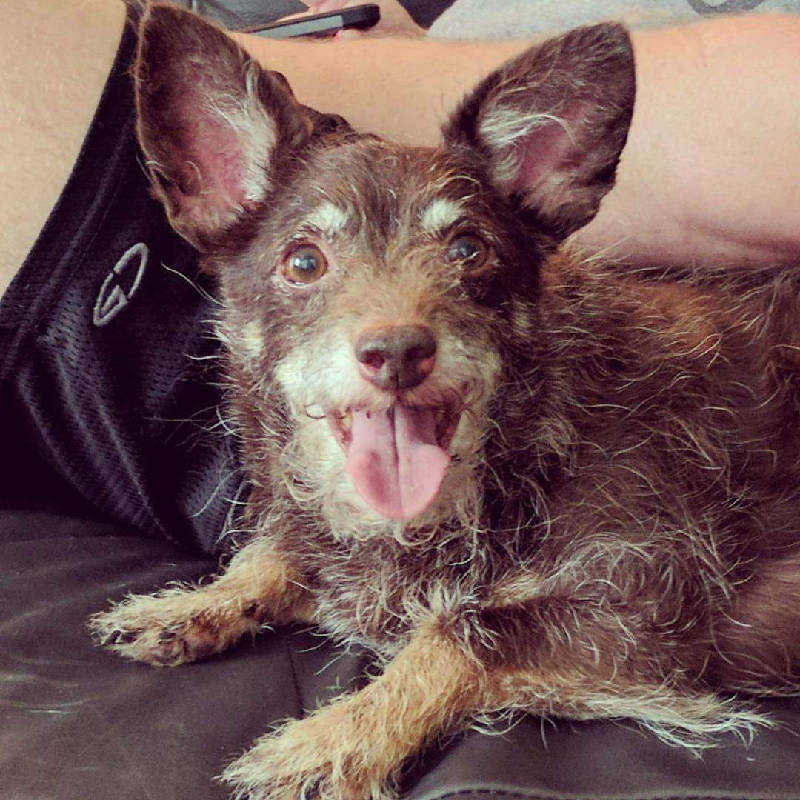 "Initially I thought he was a Chihuahua and some sort of terrier with a little 'unknown' mixed in." She decided to do a DNA test "because of his strange look. He has crazy wiry hair that's actually soft." "I was not super-surprised by the toy fox terrier, but the poodle was definitely unexpected," says Eskridge. Fox, left, and Zoey, right. About the pup: Zoey, a black-and-white dog, was adopted from the East Ridge Animal Shelter in 2007. "Friends had thought she was a border collie, but I did not think so because of her build and fur," Amanda Cawood says. "I was looking through a dog book and saw an Australian cattle dog, so that's what I thought she was." Her vet recommended a DNA test. About their other pup: The Cawoods got Fox, a brown-and-black pup, from the Walker County Animal Shelter in 2017. "We named her Fox because she looks like one," Amanda Cawood says. 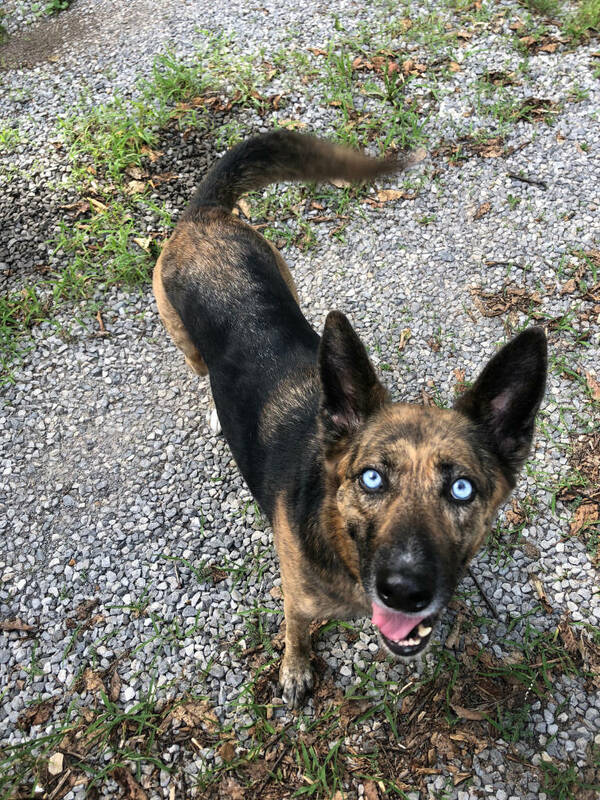 "So after getting Zoey's test back, we decided to have Fox's DNA done because we had no idea what she was and the vet thought she might be a shepherd mix. We were surprised Fox's results came back so vague compared to Zoey's." About the pup: Walker rescued Ty, who is around 11 years old, from the Humane Educational Society in May. 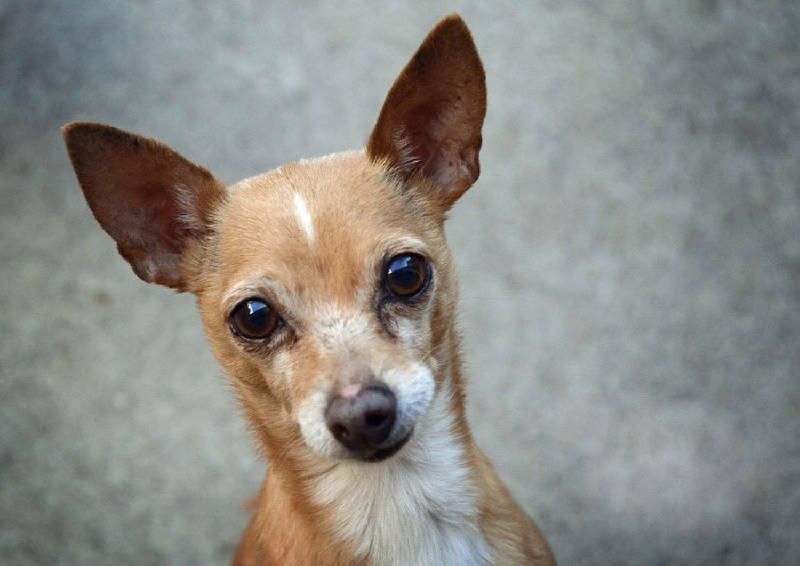 "He had previously been returned three times for being a sassy Chihuahua," Walker says. "I was up for a challenge and decided to foster him, which turned into me adopting him." Ty's build didn't appear to be Chihuahua, so Walker decided on a DNA test. "People thought it was pointless to do one on Ty because he clearly was a Chihuahua. However, I knew he wasn't purebred because he has long, skinny legs. So for Christmas, I got him a DNA kit." About the pup: Luxe, 4, was rescued in March 2014. The couple was curious about her breed because of Luxe's overall demeanor and sporting-dog characteristics. "She is high energy, enjoys herding people and animals, and is extremely gentle with young children," Rachel Edds says. They thought she might be a border collie/Labrador retriever mix. 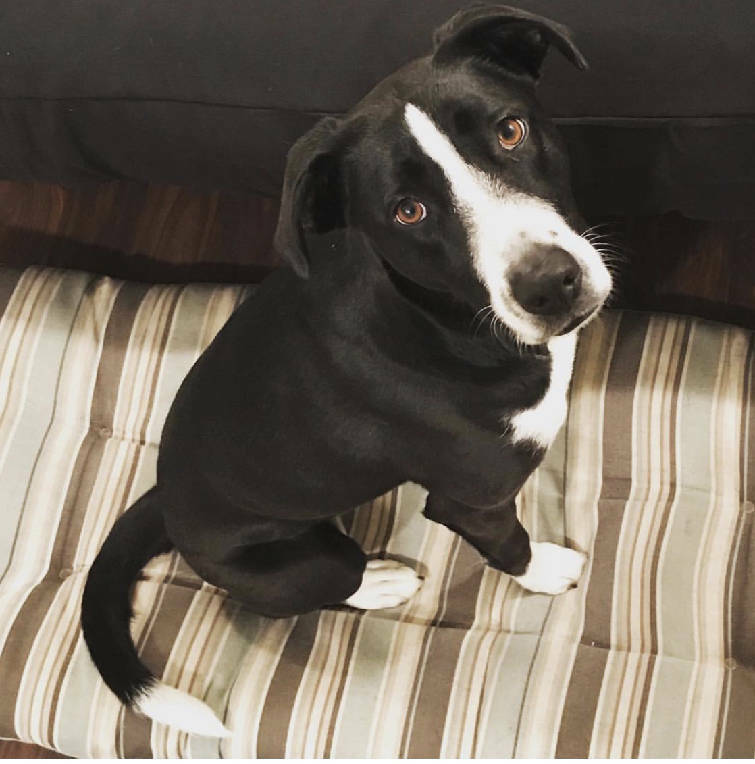 "We were surprised that Luxe is not a border collie at all, and we would never have guessed some of the breeds that are lower percentages," she says. 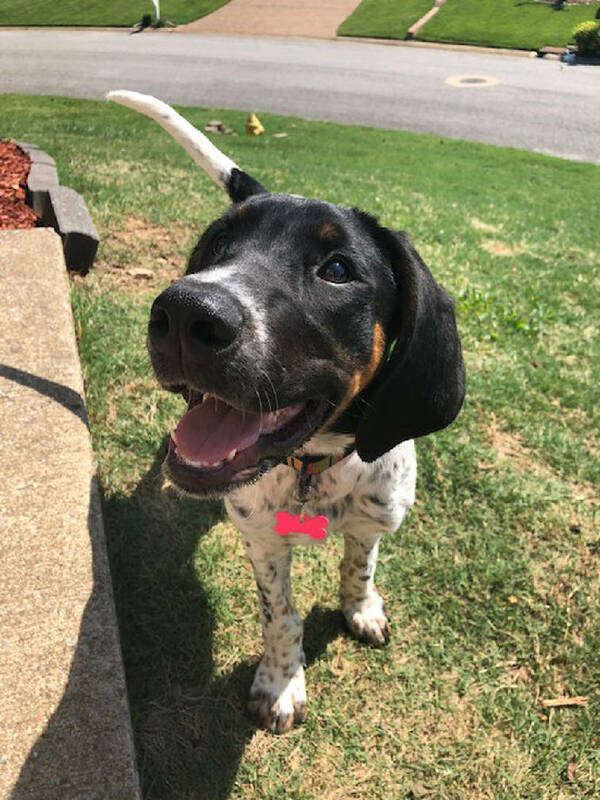 About their other pup: Rachel Edds believed 1-year-old Lucille, rescued last year, was a black-and-tan coonhound mixed with German shorthaired pointer. "We are often asked by others about her breed because of her unique markings," Edds says. "When we are out, people seem to be drawn to Lucille because of her unusual coat. 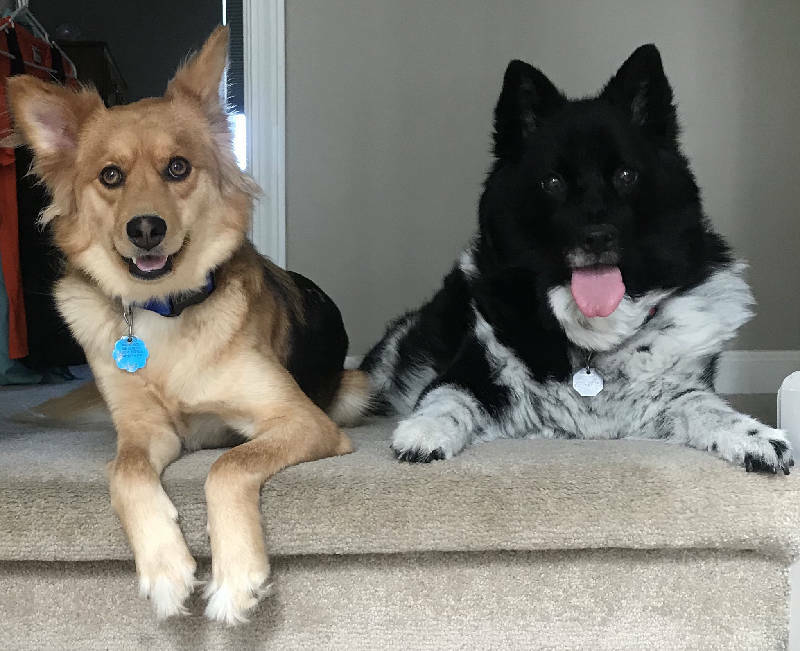 After years of curiosity and being unable to answer others' inquiries regarding breed, my husband surprised me with two dog DNA kits at Christmas." About the pup: Finnigan William was adopted nearly three years ago. "We decided to use the DNA test because Finn was such a mystery. We wanted to know what he was because he was a rescue dog," George says. Test results: Jack Russell/Lab mix. "That's what we have always thought he was," says George. "It definitely was worth it to discover he is such an interesting mix."